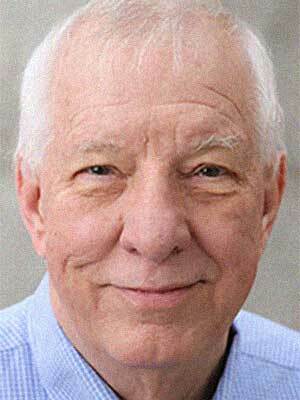 Burton Smith, a pioneer in the supercomputing industry and co-founder of Seattle-based Cray, died April 2 in Seattle. He was 77. Smith was the co-founder of Tera Computer, which later became supercomputer maker Cray, and he went on to become a technical fellow at Microsoft. He was known for deep technical expertise in the field of high-performance computers, but also for his love of singing, his sense of humor and his penchant for being the life of the party, according an obituary in The Seattle Times. Smith grew up in Chapel Hill, N.C.; Albuquerque, and Carpinteria, Calif. However, after spending time in the Navy, working on nuclear submarines, he returned to UNM, where this time around, he aced every class, earning his electrical engineering degree in 1967. He later earned a doctorate at the Massachusetts Institute of Technology. After completing his studies, Smith taught electrical engineering at the University of Colorado. In the late 1970s and early 1980s, he worked at Denelcor Inc., where he designed a supercomputer dubbed the Heterogeneous Element Processor, or HEP. Sales were disappointing, the company collapsed, and Smith moved to a government-backed research lab. In late 1987, he helped found Tera Computer Co. in Seattle, where he led the design of another supercomputer. Tera was taking on International Business Machines Corp., Cray Research Inc. and Japanese rivals. According to the obituary in The Wall Street Journal, his small team initially designed processors made of gallium arsenide, a trickier semiconductor material than silicon. In retrospect, use of gallium arsenide “resulted in a system devilishly difficult to manufacture,” said James Rottsolk, who founded Tera with Smith. Smith’s career took him Boston — where he attended graduate school MIT after turning down acceptances from both Stanford and Berkeley — to Denver, Washington D.C., and eventually to Seattle. Smith was honored with the prestigious Seymour Cray Award in 2003. He was elected that same year as a member of the National Academy of Engineering. He met his wife of more than 40 years, Dorothy “Dottie” Smith, at UNM. The two had two children, Katherine and Julia J. Smith. Dottie died in 2015.